Looking into Oradour-sur-Vayres Department 87, Haute-Vienne, from the north on the D40. Notice how the church steeple resembles the original church steeple at Oradour-sur-Glane before the fire. 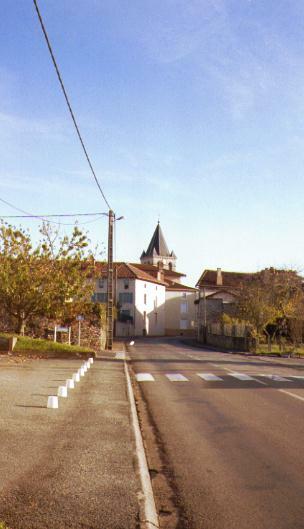 The road bends to the right, with a road junction and then to the left after the church, just as it does in the original village of Oradour-sur-Glane.